Featuring a further refined blade design with Anti-Stall Knobs that works in tandem with the new AAO or Advanced Acoustic Optimisation frame. 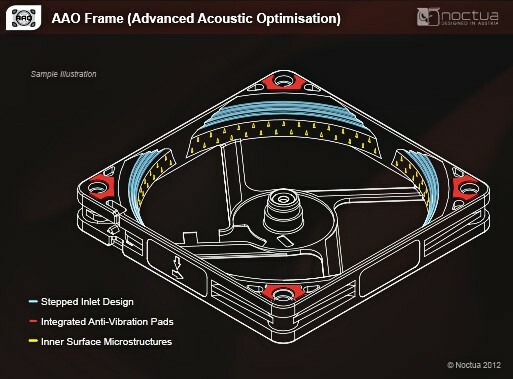 The NF-S12A improves the airflow/noise efficiency of its renowned predecessor by up to 8%. The ULN version provides super-slow 800 / 600rpm speed settings for ultra-low-noise applications and highly noise sensitive users who demand near-silent operation. 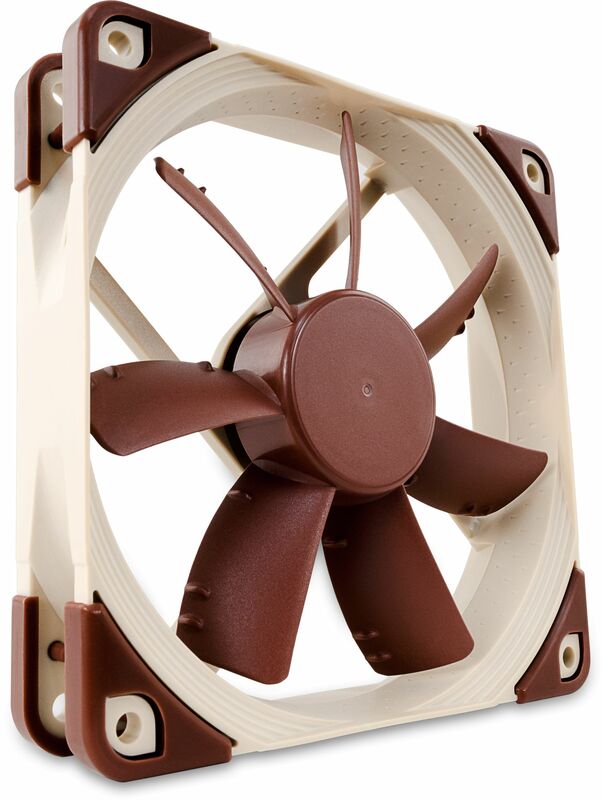 Its superb running smoothness, SSO2-Bearings and Noctua’s trusted premium quality make it an elite choice for quiet case cooling. 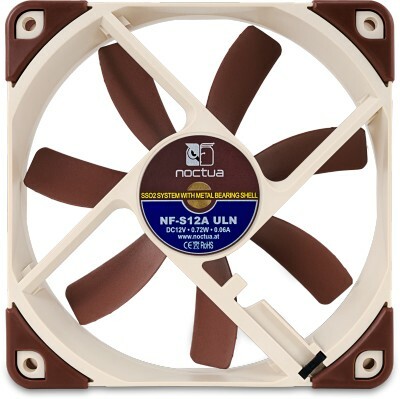 Noctua's S12 series fans impellers use a high angle of attack in order to achieve superior airflow. 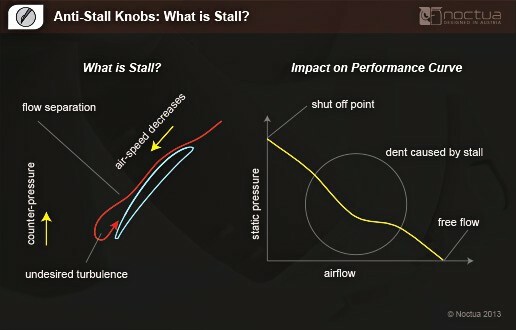 However, impellers with high angles of attack are typically more prone to undesired stall and flow separation phenomena that can occur when the fan is working against higher impedance such as when blowing through tight fan filters or when used on heatsinks and radiators. As expected from Noctua, the fan is well packaged and is supplied with both the usual fan mounting screws and also rubber fan mounts to isolate the fan from the case ensuring that no vibrations from the fan can reach the case. An in-line resistors (L.N.A) is included and this simply lowers the voltage and therefore the speed of the fan from 800 to 600 rpm if full speed isn't required. A Molex adapter allowing you to power the fan from the PSU and an extension cable are also included.